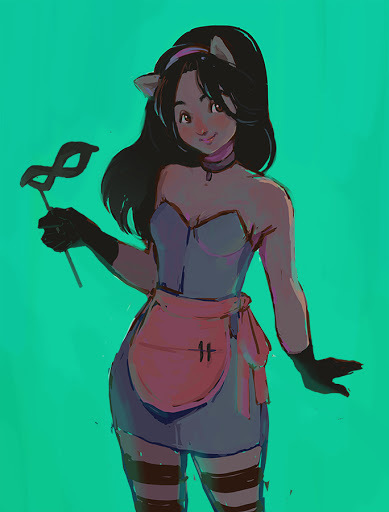 Lucía Rodríguez sketched up this gorgeous illustration of Crafterella for Superhero Sunday yesterday. I absolutely love her style! We'd been bribed, with mulled wine and the promise of free tickets, to go and see a new ITV show called Change Your Tune featuring people who can't sing doing a performance after seven weeks of vocal training. We were so hungry by the time the show finished, so we treated ourselves to dim sum at Ping Pong. I had the Unicorn Salad with pink and blue vermicelli noodles, rocket, smoked almond, roasted cashew nuts and peanut ponzu dressing. I stopped to admire the Tatty Devine Christmas trees at the back of the South Bank Centre featuring large scale versions of their jewelry.